YouTube has a video for everyone. Find your niche so you can rally a community of fans. When creators first start out, many assume it’s best to make their videos appeal to the broadest audience possible. However, we’ve seen creators find success by tapping into a smaller, passionate niche community. These niches vary in size from huge communities, like those who play the game Fortnite, to smaller communities, like antique car collectors. Groups like these are seldom served by traditional media, so they usually are more enthusiastic when they find a show tailored to their interests— and this enthusiasm can lead to more views, watch time, and engagement. Viewers feel like they’ve found a show made specifically for them. Take time to think about the subjects you love. Perhaps it’s fashion? Yoga? Pets? Being a mom? Do some soul-searching and decide which topics you would enjoy making videos about. 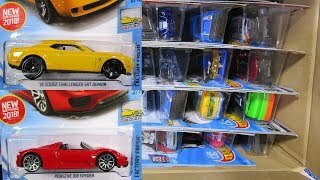 RaceGrooves is all about toy cars, tracks, and play set reviews. They’ve been making Hot Wheels case unboxing videos for years. Cutepolish keeps fans on top of the hottest nail art designs, DIY nail techniques, and latest nail polish styles that are currently trending. 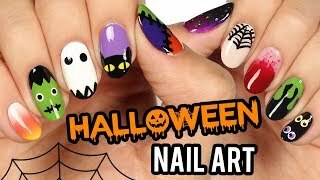 This video includes 10 fun nail art designs for Halloween. The Brain Scoop features Emily Graslie, the Chief Curiosity Correspondent of The Field Museum in Chicago. 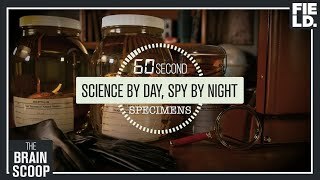 This video is part of the “60 Second Specimen” stories. After narrowing down your niche interests, consider researching relevant communities. Look up blogs on the topic, social media conversations, and YouTube channels. See if your interest has found an audience already and what types of videos are being created for that community. When your goal is to reach a niche audience, it’s important that you feel connected to that niche and share the audience’s passion. You want your videos to come off as genuine and authentic. Targeting a passionate niche audience can often be more effective than going after the masses. How clearly and with how much detail can you describe your audience? Who are they, how old are they, and what are their passion points? It might be a good idea to check out YouTube.com/trends to see if your niche is represented.